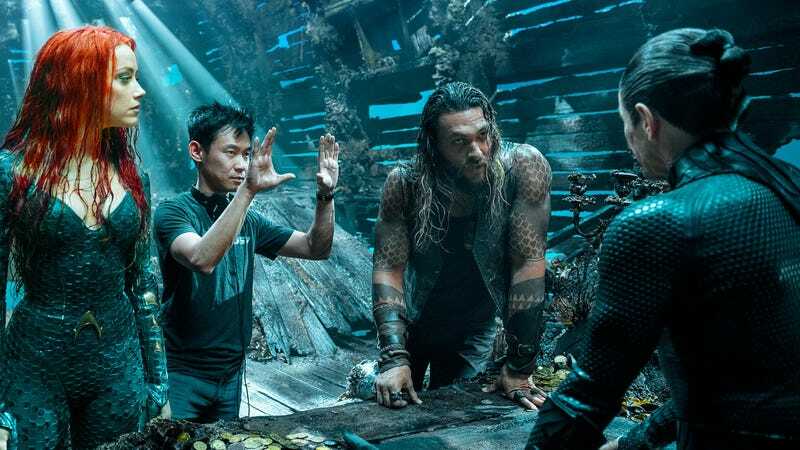 Along with a few choice photos of Aquaman refusing to wear sleeves, Entertainment Weekly also shared the first look at Aquaman’s Black Manta (played by The Get Down’s Yahya Abdul-Mateen II) and a prototype of his signature armor. Black Manta (Yahya Abdul-Mateen II) marveling at his helmet. Out of all the new details that surfaced today, the oddest bit is what Nicole Kidman looks like in her costume as Queen Atlanna. She looks absolutely fantastic, but it’s really, really going to be hard to buy her as Jason Momoa’s mother when Aquaman hits theaters December 21.